What happens to single-stream recycled materials? See how a MRF works! A-to-Z Recyclery to see how and where to recycle many materials in Orange County, NC. 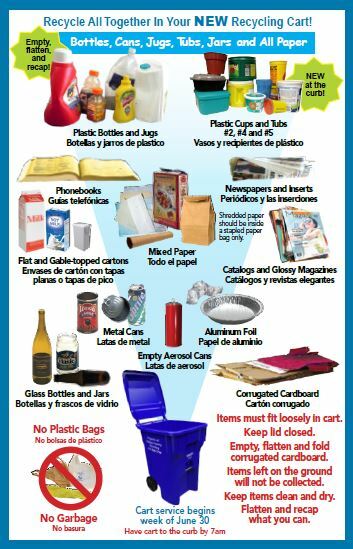 *Multifamily units must place corrugated cardboard in designated bins – not in the carts! Looking for Recycling Options in Other Locations?